FRSO leader condemns Trump administration’s attacks on transgender rights | Fight Back! 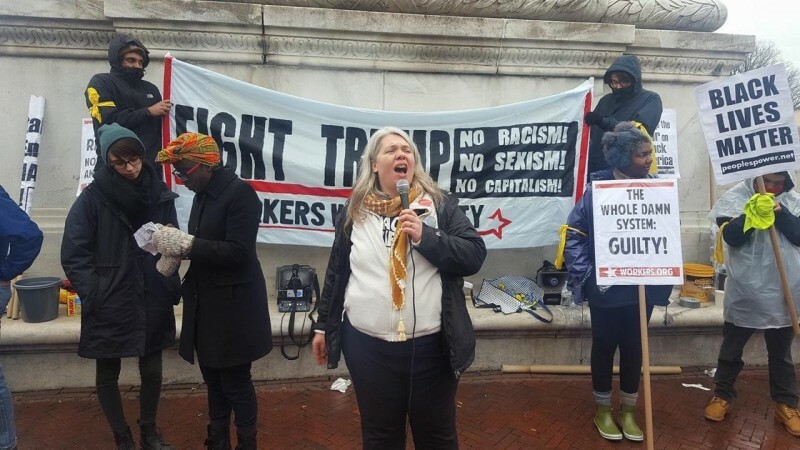 Minneapolis, MN – Steff Yorek, the Political Secretary of Freedom Road Socialist Organization, sharply condemned the Trump administration, October 22, for orchestrating attacks on the democratic rights of transgender people. According to widespread media reports, officials in the Trump admiration are moving to alter Title IX rules to exclude transgender people for any legal protections. “The reactionary and right-wing bigots of the Trump administration are preparing an attack on the democratic rights of transgender people. They are attempting to erase people’s existence, and roll back the framework for the scant legal protections that currently exist,” said Yorek. This latest attack on transgender people comes in the context of a misogynist, anti-LGBTQ agenda that is being promoted by Trump and his followers.